It’s the time of year for gift giving: graduations, wedding, and other celebrations are opportunities to give a unique gift to a special female in your life. 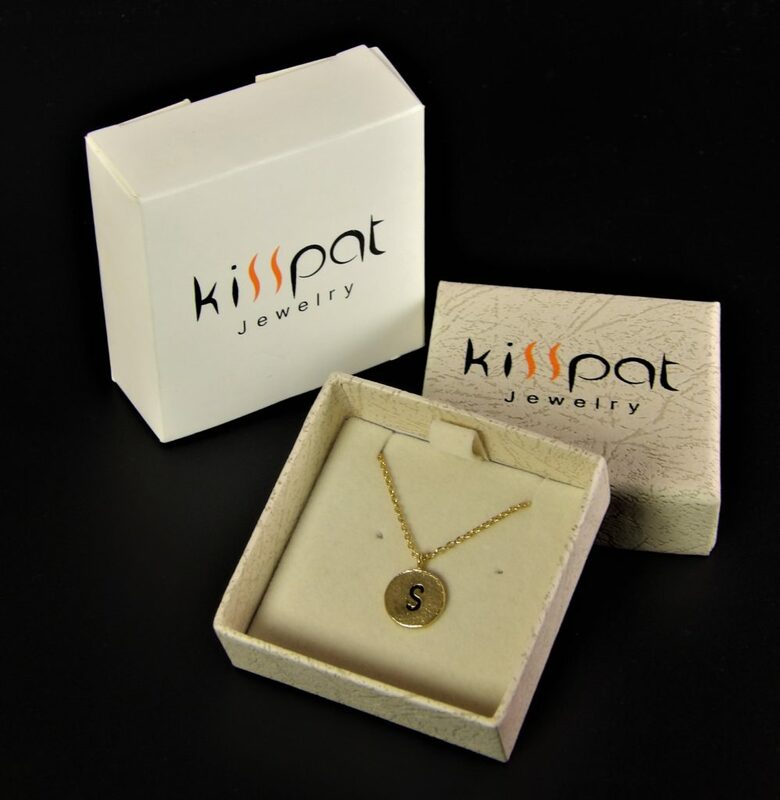 Initial Pendants are really in style this season, and we absolutely love the KISSPAT 14K Gold Tone Initial Necklace Hammered Tiny Alphabet Pendant. 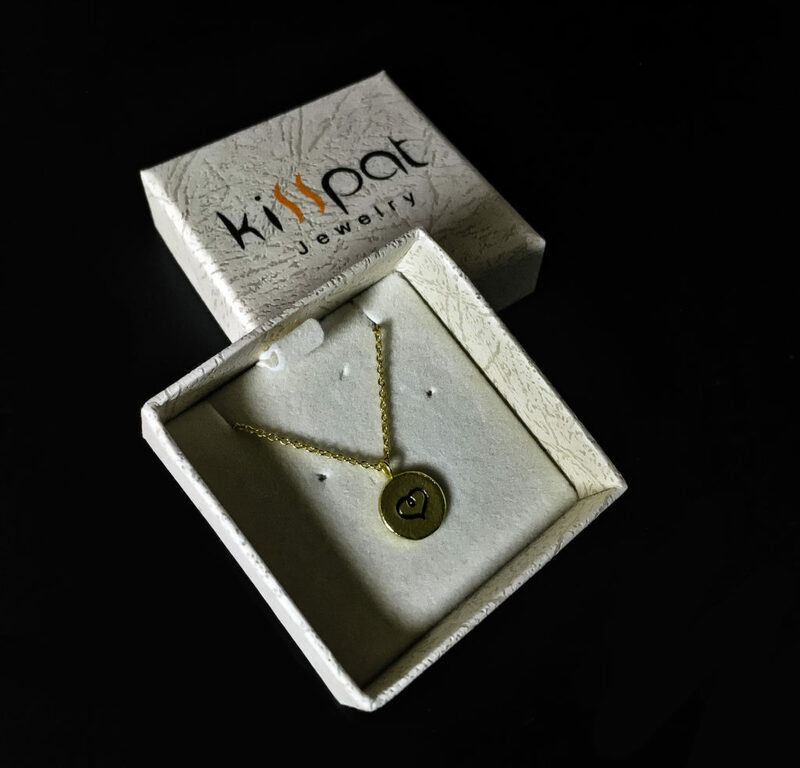 This handmade, delicate 14K Gold Plated Brass Pendant comes in a lovely gifting box that keeps it safe. It’s the perfect weight for Summer and will match any outfit, day or night. The lobster claw clasp is sturdy and easy to use. 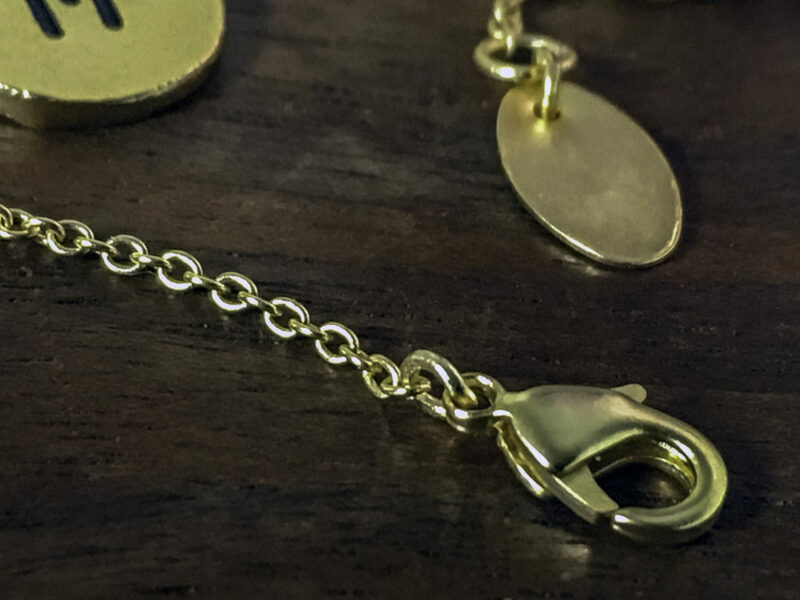 The initial charm pendant itself measures 12mm or about one half inch high. 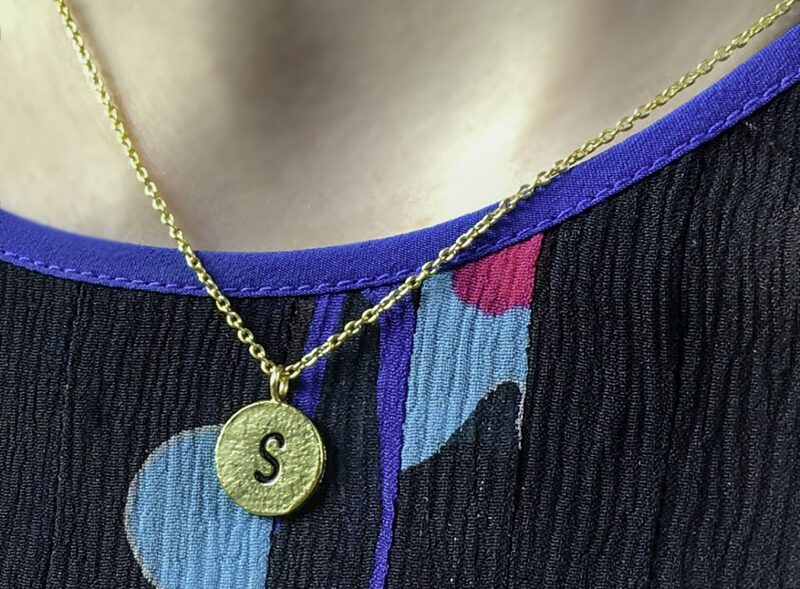 The individual letters have a bit of a whimsical font, which sets them apart from other necklaces like it. 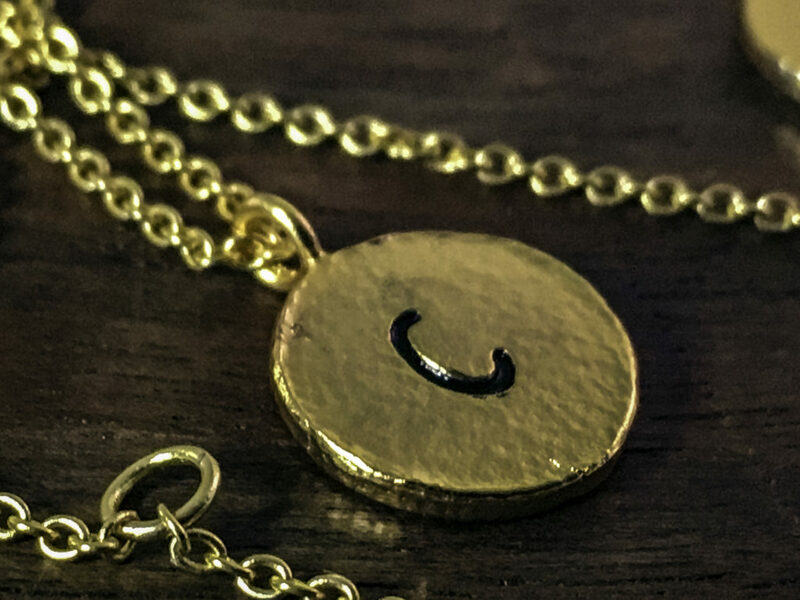 The hammered design gives the necklaces a subtle texture that makes them appear less “blingy” than some initial necklaces, while the bold lettering is still clear and easy to read. Something else I like about this design that is unique is that it has the letter on the front and a heart on the back. I like that if the necklace inadvertently flips over while wearing, that it still has style! The initial appears on the front side, and a heart appears on the back side of the pendant. 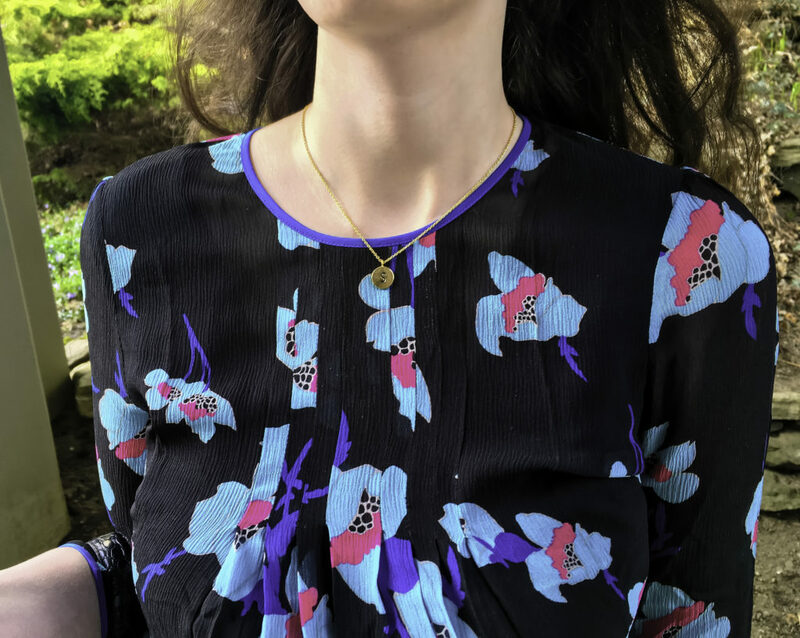 The necklaces can be worn as one initial necklace alone, or multiples together. 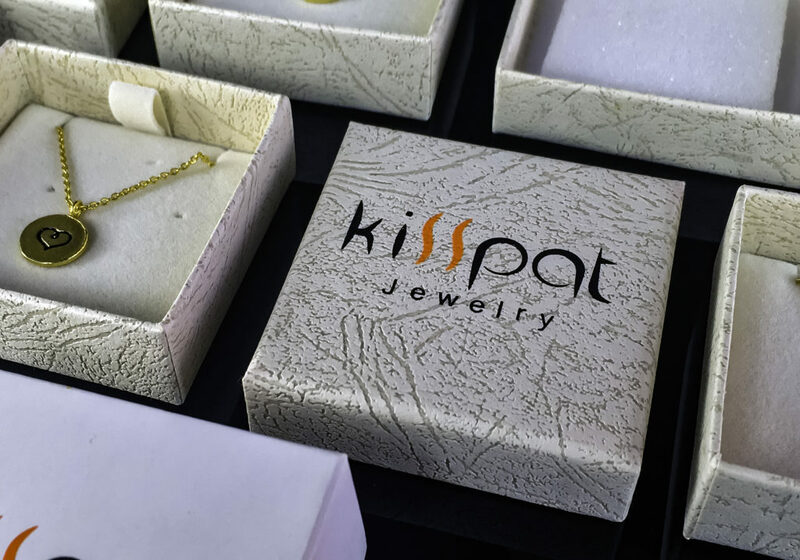 The Kisspat chain is sixteen inches long and has a 2″ extension chain adjuster, so you can adjust the chain to three different lengths or wear the necklaces in two different ways. 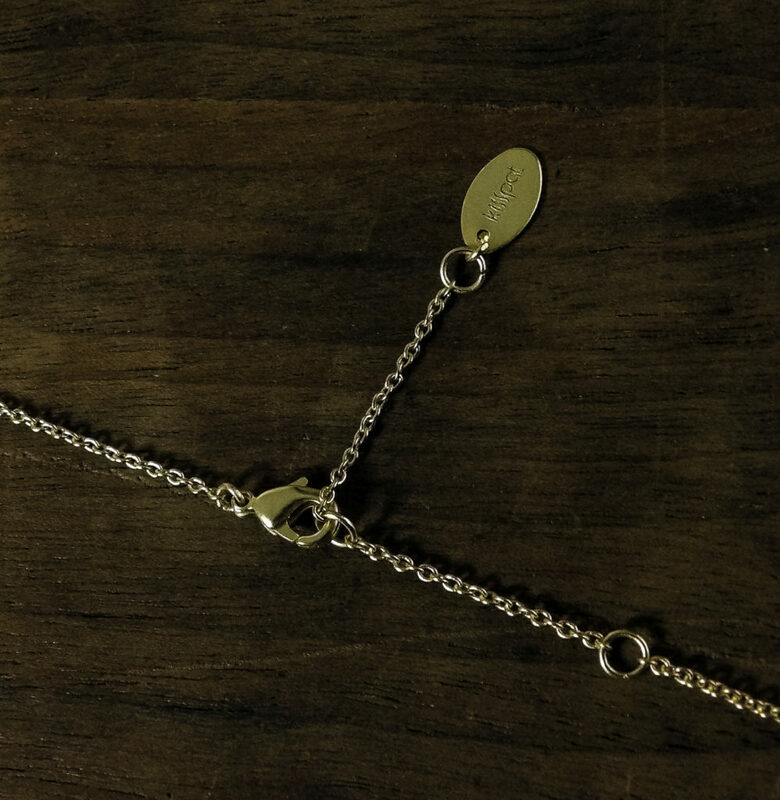 The first way the necklace can be worn is as a single initial at a 16 to 18-inch length. 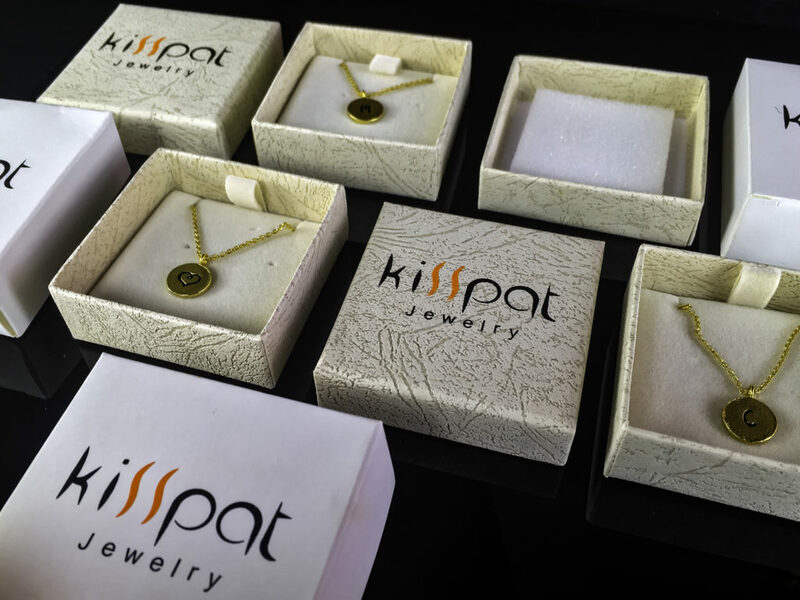 This Kisspat necklace extender feature also allows for the length to be adjusted to accommodate wearing multiples necklace layers together at once, like a customized layer chain. 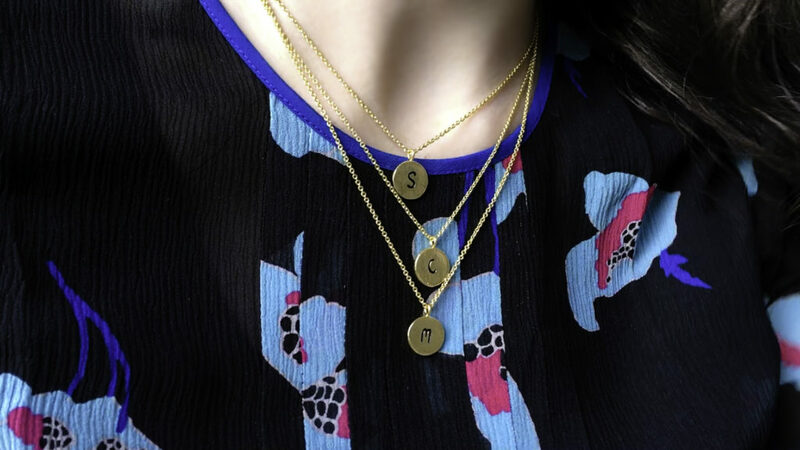 Wear your own initials, like a monogram, or the initials of loved ones. 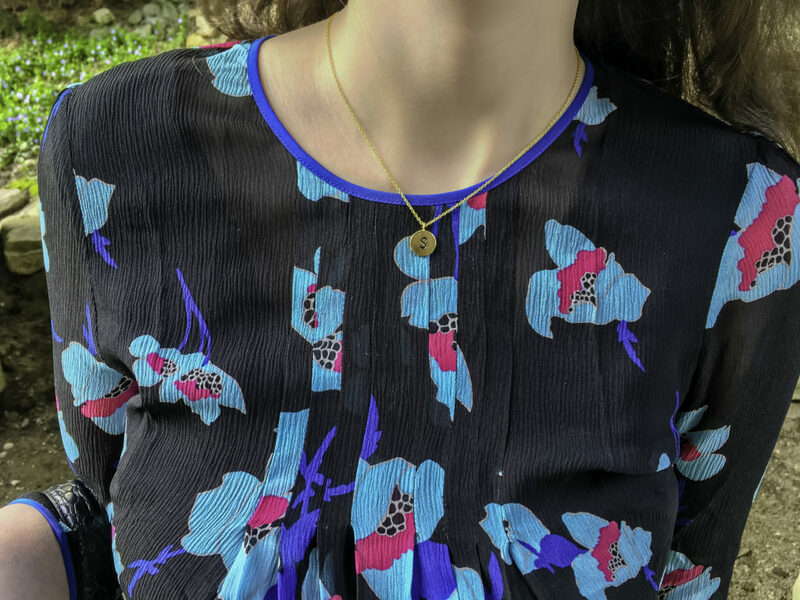 This necklace makes a perfect gift for a Mom because she can layer the necklaces to wear the initials of her children. This makes a modern take on the traditional birthstone concept but makes it more personalized and unique to an individual Mom. 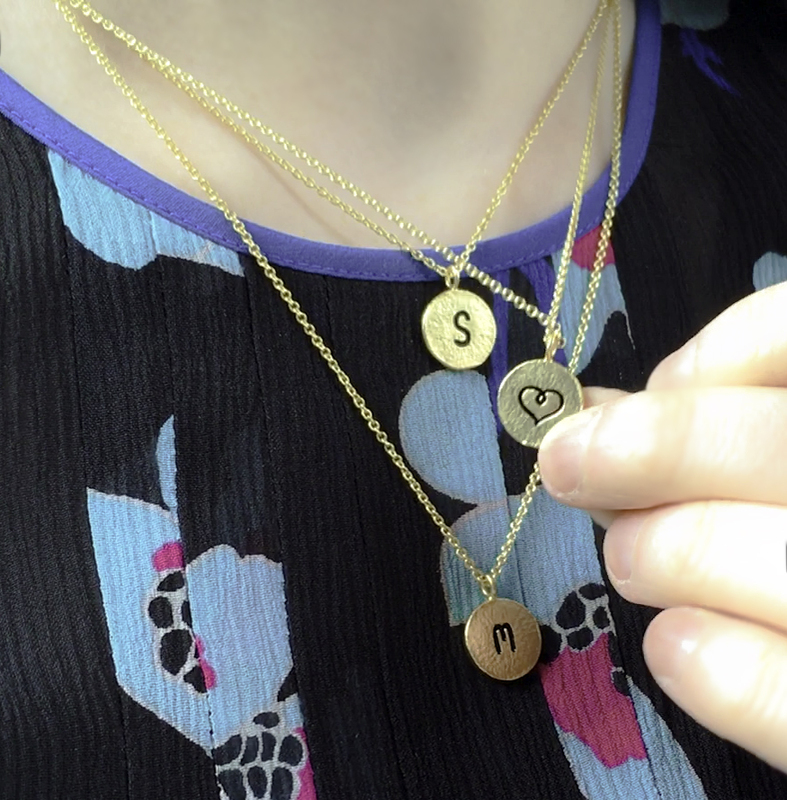 Multiple initial necklace pairings is also a great gift for to give to a grandmother, a Mom-to-be, or even your aunt! 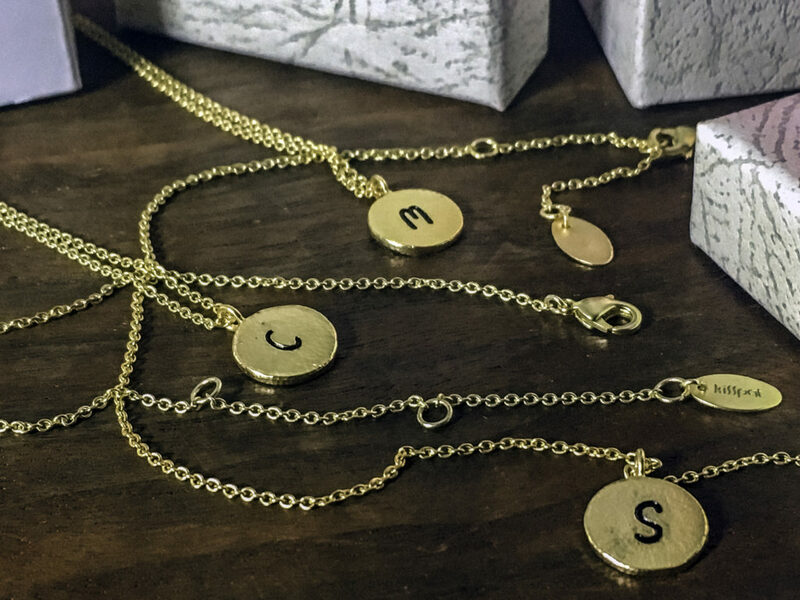 Single initial necklaces make a great gift for a friend, bridesmaids, upcoming graduate, niece or daughter. 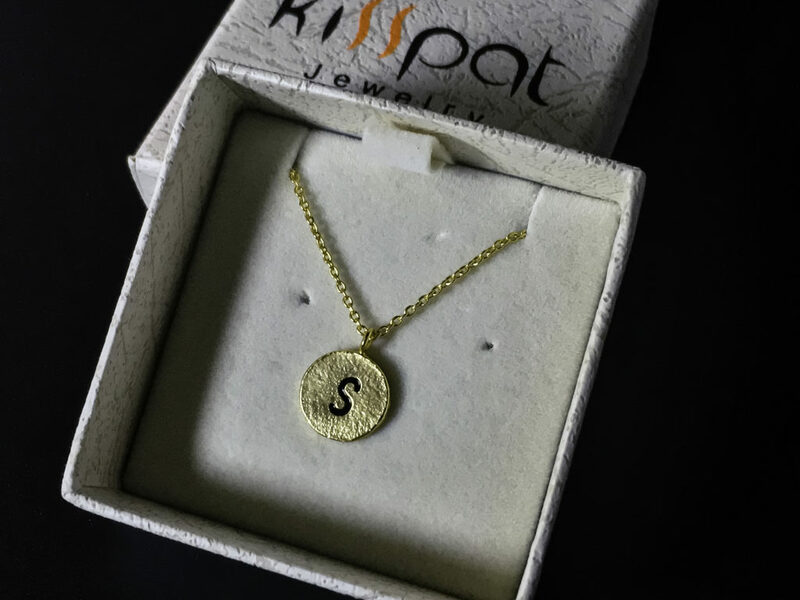 Style Chicks received the KISSPAT 14K Gold Tone Initial Necklace Hammered Tiny Alphabet Pendant in exchange for our unbiased review and received compensation for our time and effort. However, our experience with the product and the opinions expressed in this review are 100% ours.